Arlington, VA. October 17, 2017—The Women’s Society of Cyberjutsu (WSC) is excited to announce that WSC’s upcoming 2017–18 Cyberjutsu Girls Academy (CGA) Workshops will be in collaboration with and held at the Qualcomm® Thinkabit Lab™ at Virginia Tech. Located at Virginia Tech’s Falls Church, Virginia. The Thinkabit Lab is a combination of an engineering lab, makerspace and innovative learning space for participants of all backgrounds and age groups. The Cyberjutsu Girls Academy, a 501(c)3 program, offers a wide range of workshops that are held once a month from November through June for middle school to high school-aged girls and young women to explore the many areas in technology and cybersecurity. These workshops provide a hands-on, fun and interactive environment for topics such as web design, mobile application development, computer fundamentals, programming and much more. The goal of the workshops is to increase girls’ competency and confidence in science, technology, engineering, and math (STEM); and CGA offers its workshops at minimal cost to students, encouraging all interested girls and young women to apply. For more information about WSC’s Cyberjutsu Girls Academy, visit https://womenscyberjutsu.org/mpage/CGA_Academy. To learn more about the Qualcomm Thinkabit Lab at Virginia Tech, visit www.Thinkabit.Tech or send an email to Thinkabit@vt.edu. Founded in 2012, The Women’s Society of Cyberjutsu (WSC) is a Northern Virginia-based 501(c)3 non-profit organization focused on empowering women to succeed in the cybersecurity industry. WSC’s mission is to advance women in cybersecurity careers by providing programs and partnerships that promote networking, education, training, mentoring, resource-sharing and other professional opportunities. WSC serves thousands of women across the globe by bringing awareness to and advancing careers in cybersecurity. 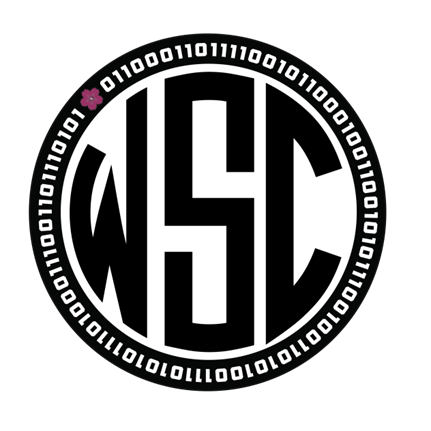 The WSC community includes information security professionals, IT professionals, programmers, computer scientists and engineers, as well as women wanting to explore and join the field. Recognizing the importance of encouraging girls to embrace a future in STEM-related professions, through its Cyberjutsu Girls Academy, WSC provides a unique hands-on curriculum focused on securing information technology. Created in 2016, the Qualcomm® Thinkabit Lab™ at Virginia Tech introduced more than 5000 students, teachers, parents and other community members to the computing and engineering foundations of IoT (Internet of Things) and Smart Cities initiatives in its first year (see goo.gl/JU38LG). With an added focus on technical career exploration, Thinkabit Lab staff work with teachers and school leaders to build the future workforce for an increasing global and technology-driven workplace. All Virginia Tech Thinkabit Lab instructors are licensed Virginia teachers, representing expertise in Biology, Career Education, Computer Science, Engineering, Environmental Sciences, Life Sciences, Math, Project-based and Problem-based Learning, and Technology Education.